Steve Smitherman oversees all plans the company operates in Indiana. He has led the development and implementation of CareSource Marketplace, Medicare Advantage, HIP 2.0 and Hoosier Healthwise products in Indiana. Steve has over 15 years of Medicaid and commercial health plan leadership experience and is a lifelong Hoosier. 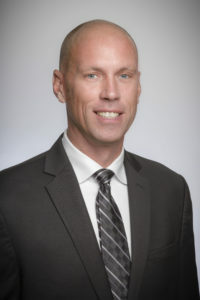 He joined CareSource in 2012 as director, network development for the Indiana Market where he oversaw provider relationships and contracting for new business in the state. Steve serves on the board of directors and the finance committee of Covering Kids & Families of Indiana and frequently volunteers at the Wheeler Mission Ministries.